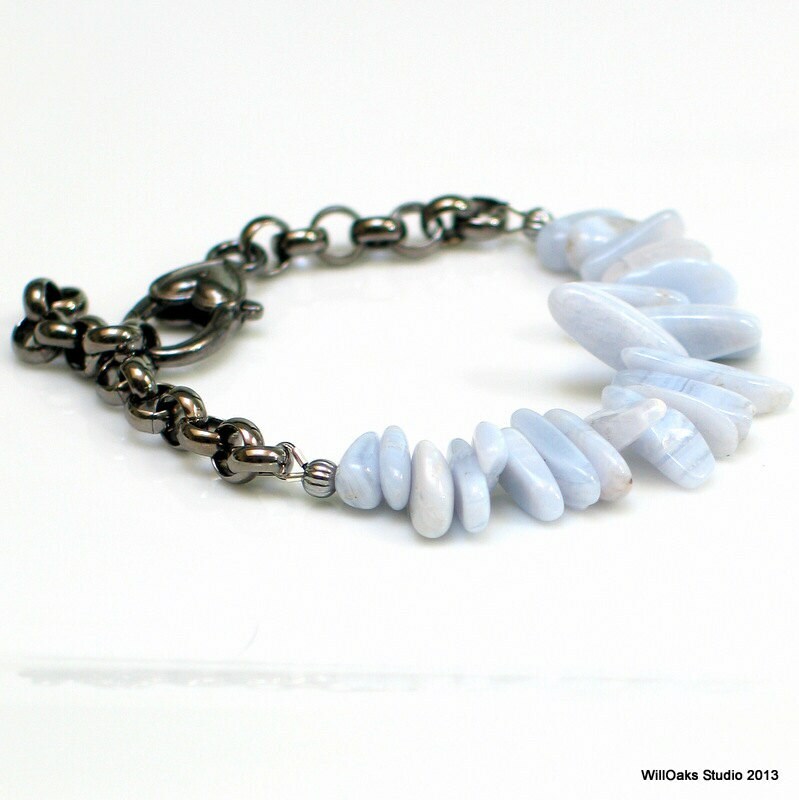 Natural blue lace agates, smooth spears are a pastel shade of blue, paired with glossy dark silver gray rollo chain and an oversized lobster clasp to make a bold statement that's both feminine and strong. 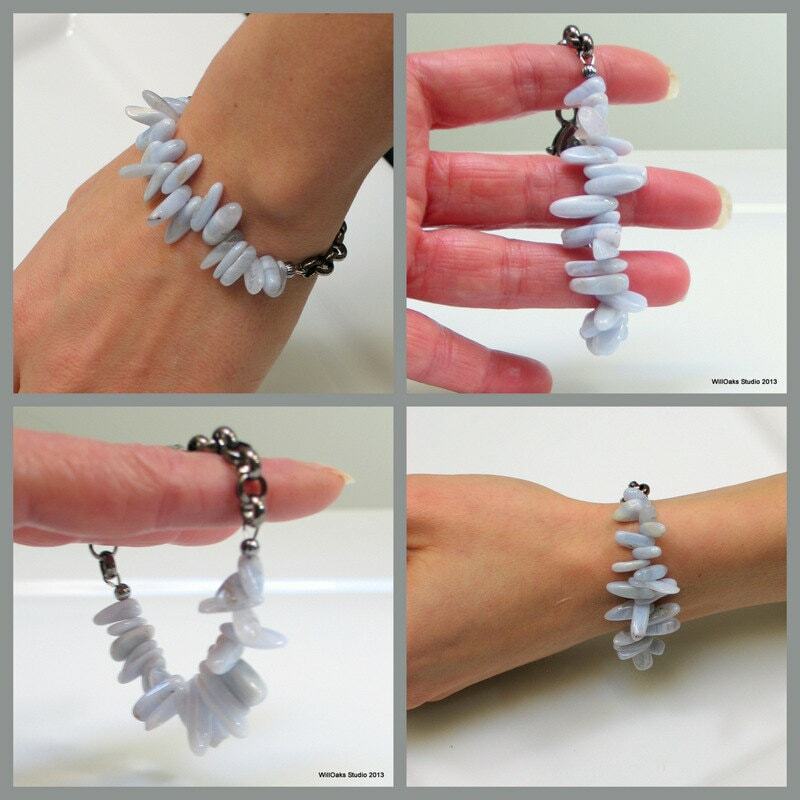 About 3" of agate spears rotate on heavy steel beading cable, which adds to a three dimensional "lacey" effect. 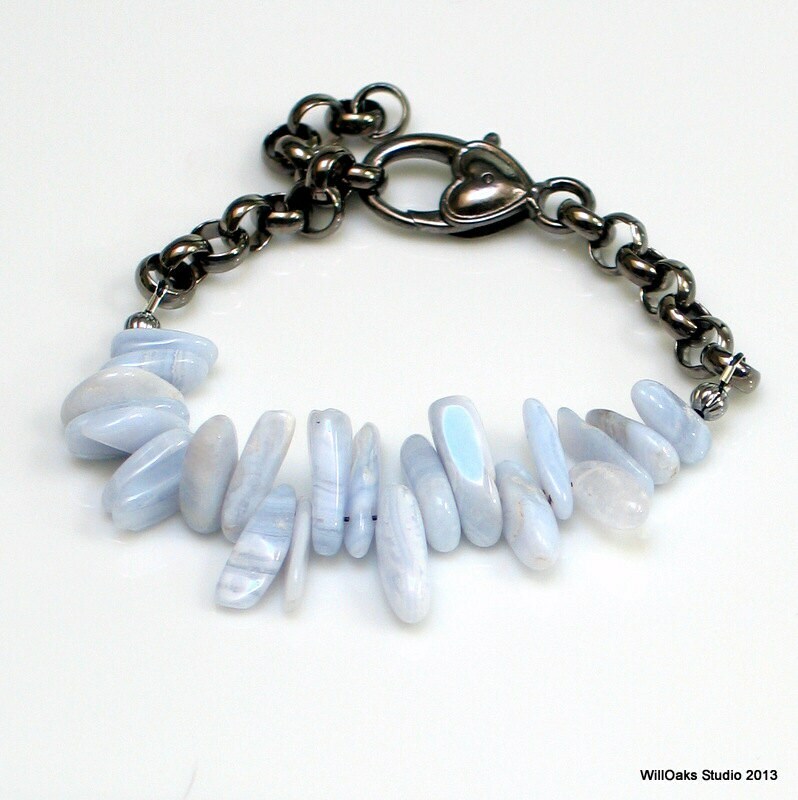 The blue lace agate nuggets are highly polished and have delicate striations in shades of light and medium blues and whites. This focal created a nice contrast to the dark, glossy heavy rollo chain which is brass with a dark gun metal finish. 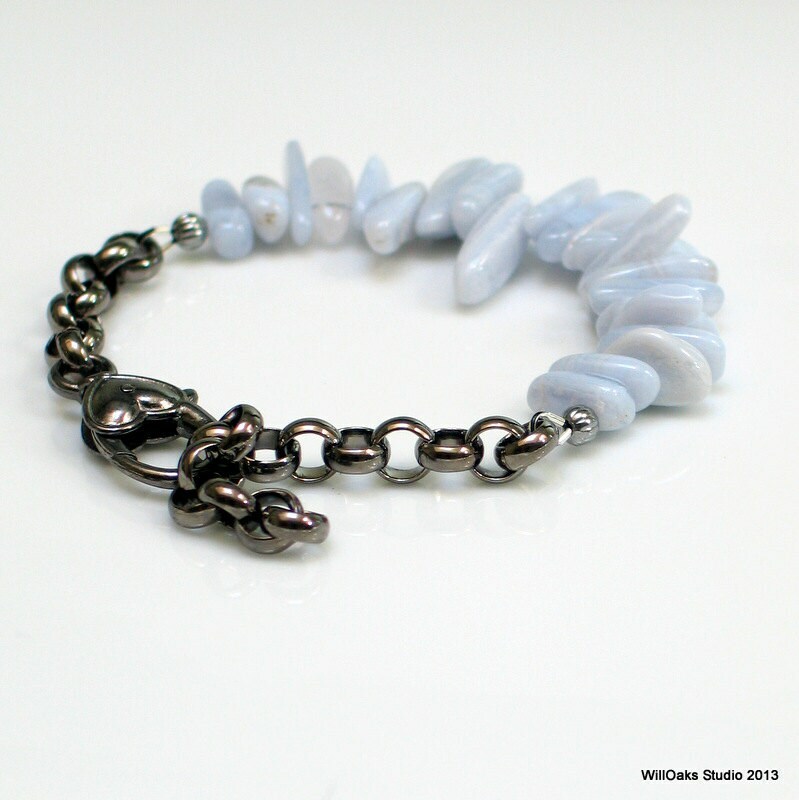 Contrast the organic beauty of natural stones in organic shapes with links of bold chain and a large lobster clasp. The agate spears vary from about 10mm to 20mm long and are gemstone grade. 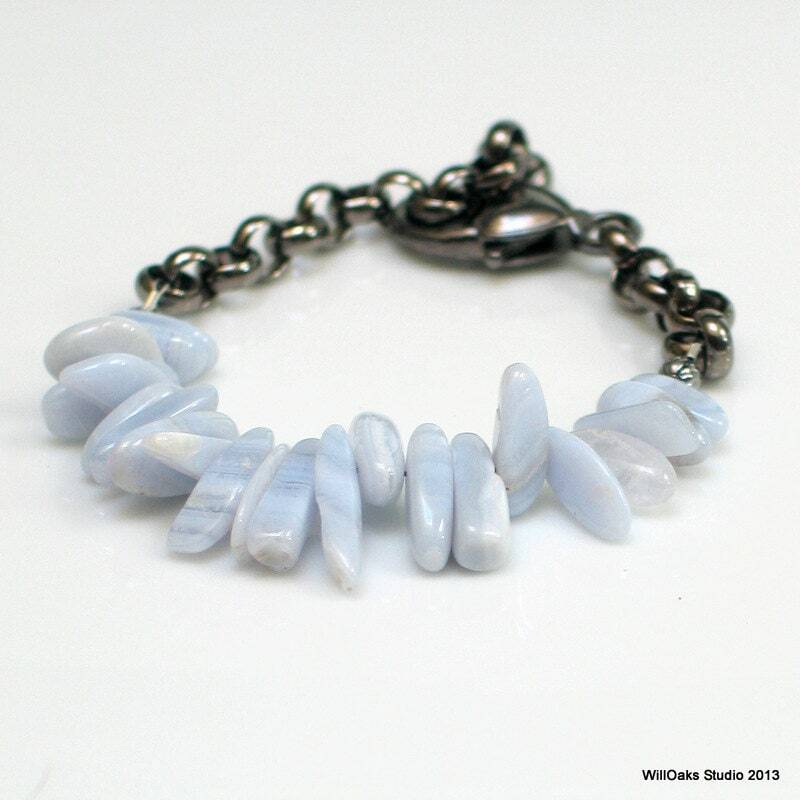 A perfect affordable gift for yourself or for a special woman on your list as this bracelet can be dressed up or down. Bracelets are sent via first class mail in either a signature box or a velvet bag, all ready to give.